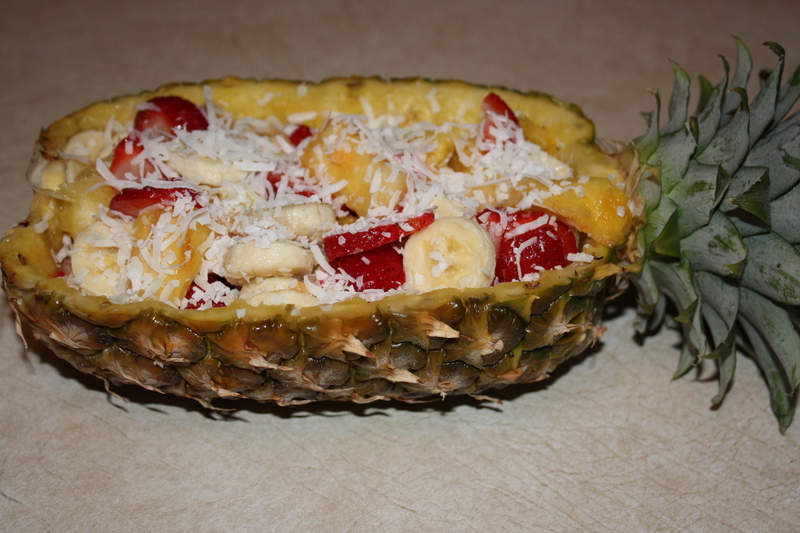 Started out my day with Pineapple Boats pg. 147 It was great! I love my fruit! Later on I had Summer Salad pg.166 with Avocado Dressing pg. 176 Both were very good. The salad contained summer squash, lettuce, onion, tomato, and cucumber. The avocado dressing contained 1 avocado and 1 lemon. In the future I would probably try 1/2 the lemon. The cookbook said I could add herbs of my choice. I actually decided to mix in a little ranch dressing. My dad really, really liked it! Definitely a dressing I’ll use again. 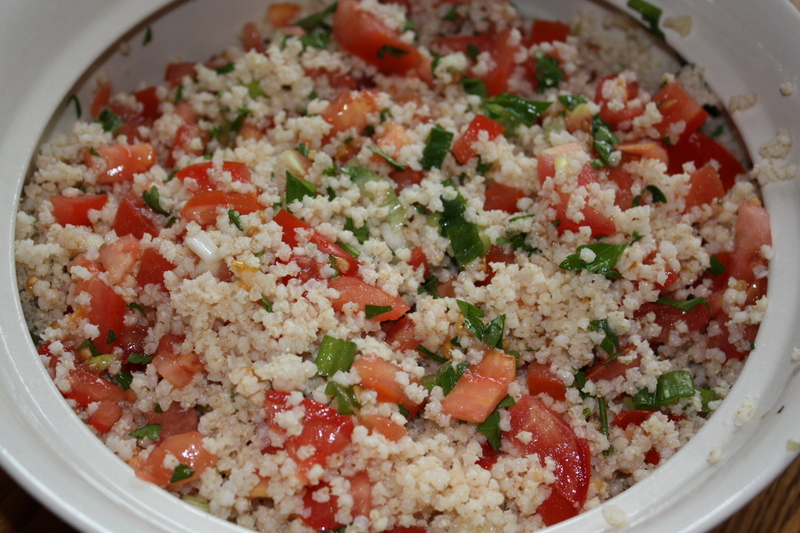 I enjoyed Kathleen’s Tabouli pg. 269 My family enjoyed it but would have preferred less parsley. Bring water to boil, add millet, reduce heat (I reduced to low) cover and simmer until all moisture absorbed (mine took 30 min) Remove from heat and cool. Mince garlic and parsley, chop scallions and tomatoes, place in a large bowl and add olive oil, salt, and lemon juice. Stir in millet.